In the natural environment, everything connects as a whole, and nothing can be seen as separate from other elements. 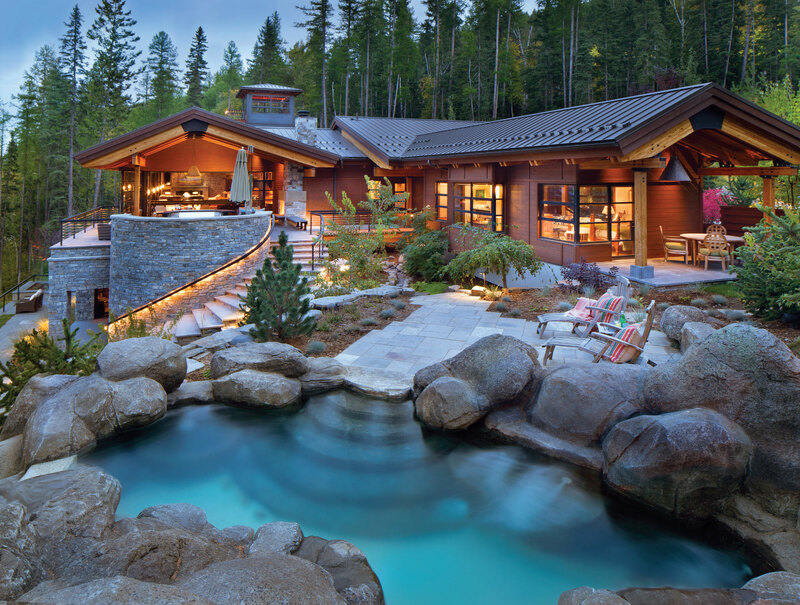 Rock and Water similarly builds whole home environments that seek connections to other purposes and functions on the estate. 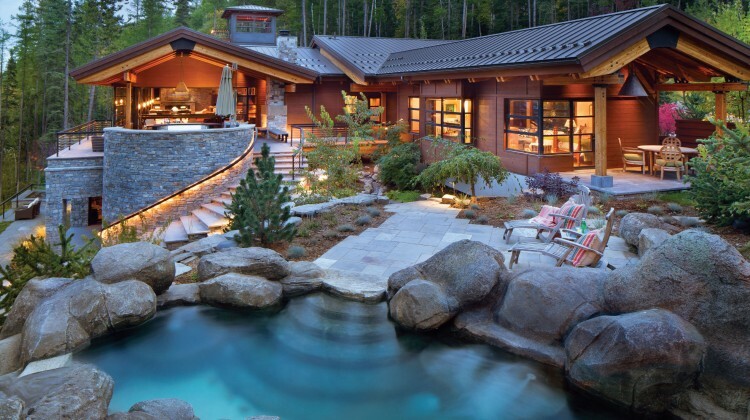 Aquatic artists, these resort-like features not only create indoor and outdoor areas for distinctive recreation and conducive getaways for private relaxation, but designs also tie into other aspects of the home’s design for security, safety, and even self-sufficiency. 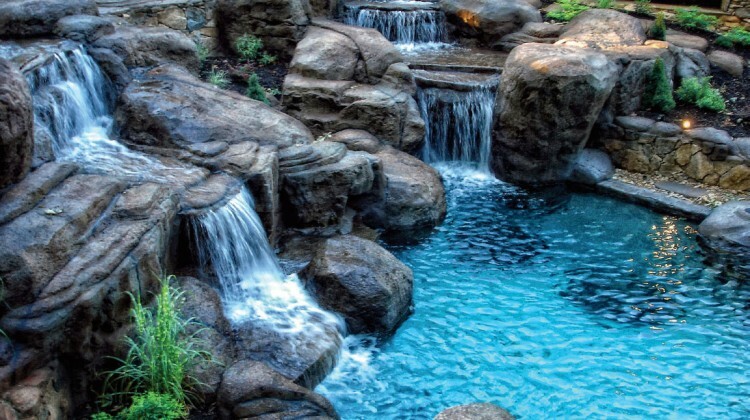 Just looking at brochures for destination resorts can inspire daydreaming about swimming under a waterfall, kayaking down a stream, or riding a zipline across the treetops. These are the kinds of resorts and residential developments Rock and Water has conceptualized and built around the world for an international clientele of estates, resorts, and exclusive developments. This experience worldwide opens unimagined possibilities at home. 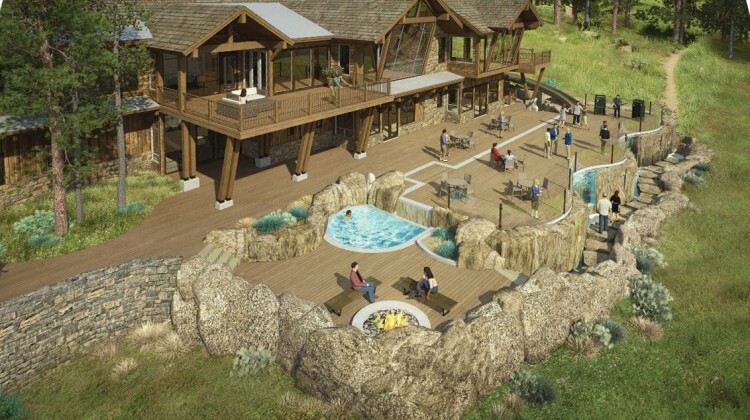 Aquatic habitats, rock-climbing walls, whitewater kayaking or rafting, a transparent lazy river, fly-fishing, waterfalls, amphitheaters with stages—these are some of the features that the design team at Rock and Water has created. “Often local architects will only design what local talent is capable of executing, but we open a world of possibilities for them,” Henry adds. “We are happy to collaborate throughout the project from the earliest sketches.” In addition to architects, Rock and Water collaborates closely with developers and builders. Kersey observes, “There are different levels of security, and with innovative and artistic approaches, these can be integrated into the design without sacrificing aesthetics. We even can include perimeter wildfire suppression.” Essentially, the effect is a beautiful setting for the home, outdoor recreation, and entertainment without the harsh appearance of a secure enclosure. 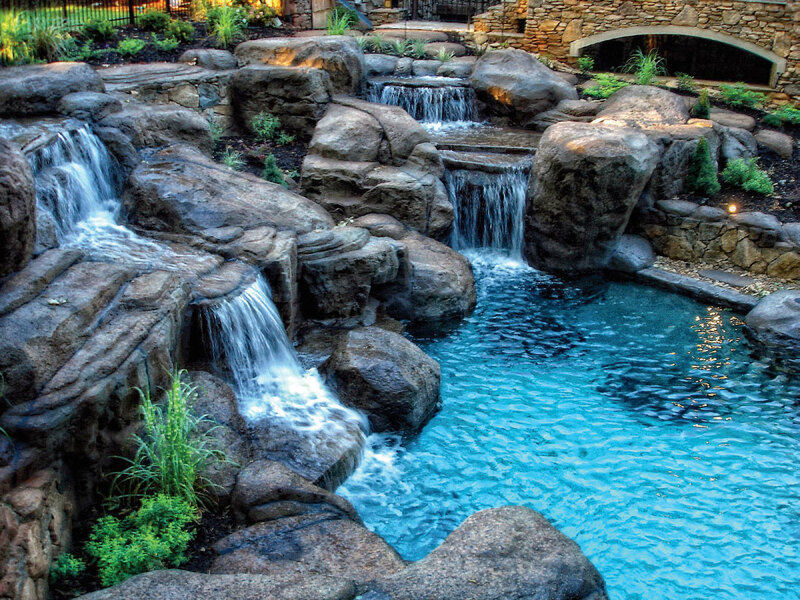 Rock and Water concurrently plans the security systems for the access points to the grounds and the home with custom automated controls for the estate and security monitoring. For some estate owners, enhanced security for their families is important in the event of a destabilizing event like a natural disaster or a man-made threat. Rock and Water can incorporate life support environments into an overall plan that utilizes the features in the landscape design, and homeowners may opt for the degree of self-sufficiency. 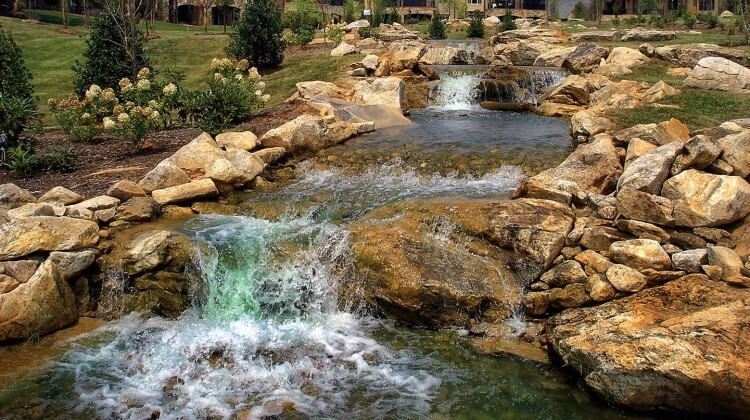 Rock and Water has patented designs for its secure fortified environments that sustain life. Support systems provide clean air, water, food, and medical supplies; visibility to the outside from a safe environment; and full communication and the ability to summon assistance. “We can incorporate water purification or desalinization, food production, aircraft or automobile storage, or ballistic glass,” adds Kersey. Rock and Water, too, has systems available to ensure safety from damage or theft of family heirlooms, artifacts, or irreplaceable collections. “Car collections, especially, can include some rare and difficult to replace collectibles. Fire, floods, or earthquakes can quickly destroy them, and so we prepare safe environments to hedge against these forms of threats,” answers Kersey. “The type of projects we undertake are estates that will remain in the family for generations. Some we built from the ground up, and others have already been in the family and we have come in and added our touch,” explains Henry. The Salt Lake City office will anchor technical expertise to ensure availability in the surrounding mountain states and communities. “We have engineered and designed artistic water systems for the extreme environments in this region, and I am eager to see just how far we can take them. It opens incredible possibilities for full seasonal enjoyment,” says Sean Henry, an artist with a bent for making impossible things work.